With no functional national or flag carrier, no aircraft Maintenance Repair and Overhaul (MRO) facility, poorly capitalised insurance firms, and perhaps no national policy to either grow or protect the local industry, capital flight out of Nigeria’s aviation sector is estimated at $10billion by the end of the year (2016). And that is certainly no cherry news for an economy under a recession. A highly placed aviation sector official told Daily Sun over the weekend that the Federal Government, regulatory agencies and some concerned local investors in the sector were deeply worried by the huge sums taken out of the country under recession. It should be the other way round; Nigeria should be striving towards retaining revenues generated in the industry rather than lose them in such astronomical figures at this period. Whenever the issue of capital flight is mentioned in Nigeria’s aviation sector, the first thing that comes to mind is the Bilateral Air Service Agreements (BASA) signed with about 78 countries and for which the country has found it difficult to reciprocate. This has been so given the absence of a national or flag carrier or even a strong domestic airline to fly the reciprocal slots allotted to Nigeria. In 2013, the Nigerian Civil Aviation Authority (NCAA) estimated that Nigeria lost about N231billion to foreign airlines due to the faulty BASA deals. An estimated $1.6billion is being lost on the United Kingdom and United Arab Emirates routes where British Airways, Virgin, Ethihad, and Emirate Airlines are enjoying a monopoly. A CBN policy which sought to halt the capital flight on the part of the foreign airlines had generated a lot of controversy as the airlines threatened to pull out of the country except the government allowed them access to repatriate over $600million which was withheld by the CBN. It is estimated that even with the harsh economy and given the trend where most foreign airlines now prefer to be paid in foreign currencies by their Nigerian passengers, the figure of funds repatriated out of Nigeria could hit N300billion by the end of 2016. The way out according to most experts is for the Federal Government to speed up its plans to float a national or flag carrier. A thriving national carrier would not just go a long way in cutting down on the capital flight figures, but it would also create hundreds of jobs for Nigerians, especially pilots, aeronautical engineers, cabin crew, travel agents, and other others who offer catering and cleaning services on airlines. But it is not just the faulty BASA or absence of a national carrier that is fuelling Nigeria’s capital flight crisis in the aviation sector. The absence of a Maintenance Repair and Overhaul (facility) has equally done great harm to efforts to retain incomes generated by the industry in the country. Chief Executive Officer of Aero Contractors, Captain Fola Akinkuotu, who spoke recently at a stakeholders meeting, said the country was losing about N21.7billion every 18 months due to the absence of an MRO. He said airline operators in Nigeria have no option than to continuously ferry aircraft to foreign MROs to carry out mandatory checks and maintenances. ”This is a huge capital flight even with the scarce foreign currency that ought to remain in the country if such aircraft checks and maintenances are performed locally,” Akinkuotu said. The way out again is for the government to create the right atmosphere for the establishment of an MRO in the country. Aviation analyst, Captain Dele Ore said the government should however not be involved in the setting up of the MRO, but should rather allow the private sector to float and manage them. “What the government needs to do is to come out with a policy statement advising investors on what to do and guaranteeing their investments,” Ore said. “We should have at least six MROs in the country today and this should not just serve Nigeria, but the sub-region as well. Let the private sector come in and if they want to go to the stock market that should not be a bad idea provided they get the funds to make the place become functional,” he added. 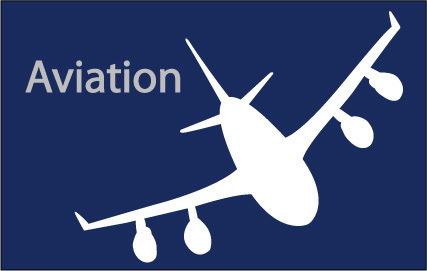 The inability of Nigerian underwriting firms to effectively understand aviation insurance and offer quality and affordable services to airlines has also been identified as another source of leakage in the industry. The trend has forced domestic airlines to continuously insure their aircraft at the Lloyds market with the attendant capital loss to the economy. And no foreign airline operating into Nigeria insures its aircraft in the country. But reducing the insurance rates will encourage Nigerian operators to insure aircraft locally. Chairman, Airlines Operators of Nigeria (AON), Mr. Nogie Meggison also identified the huge influx of foreign pilots into Nigeria as one factor responsible for the huge capital flight. The pilots are paid in foreign currencies and Megisson lamented the situation where over 1,000 foreign pilots were allowed by the government to be engaged by both local and foreign registered airplane flying in Nigeria. He therefore demanded a new policy that would check the influx of foreign pilots and engineers by foreign carriers with qualified Nigerians given preferences. He said it was time the Federal Government implemented the local content policies in the aviation sector to create room for the employment of indigenous professionals, as it the practice in most parts of the world. Meggison cited examples from India , Cameroon , Russia and Egypt where policies exists that prescribes that on every airplane cockpit flown in these countries there must be a national passport holder pilot inside the cockpit. “For any aircraft that is flying in such countries, whether local or foreign registered once the airplane has stayed in the country for more 30days it must comply with the cockpit laws,” Meggison said. He said apart the policy apart from generating jobs for indigenous professionals, would also go a long way in halting capital flight. Managing Director, Federal Airports Authority of Nigeria (FAAN), Mr. Saleh Dunoma, says the aviation sector is expected to inject about $5billion out of the $3.10trillion required by the National Integrated Infrastructure Masterplan (NIMP) over a period of 30 years through Public Private Partnerships (PPP). Dunoma stated this at the annual conference and exhibition of the Airport Council International ACI) which ended recently in Montreal, Canada. “We also have a huge infrastructure deficit for which we require foreign capital and expertise to supplement whatever resources we can marshal at home. In essence we seek Public Private Partnership in our quest for enhanced capital and expertise”. James Cherry, President of Aeroports de Montreal expressed delight in playing host to airport leaders across the globe. According to him, the Montreal – Trudeau air port is celebrating its 75th anniversary and will be glad to share the many changes made to lift it’s services to world-class levels and strengthen its role as a strategic transportation hub. The FAAN Managing Director was accompanied by Capt Henry Omeogu, Director of Airport Operations, Kabiru Mohammed, Chief of Staff to the Managing Director also interacted with airport operators and foreign investors amongst others. The Airport Council International (ACI) Annual Conference/World General Assembly in Montreal, Canada, ends on September 28, 2016. A group of Chinese investors are seeking a transport and trade partnership with Air Peace as the Nigerian carrier finalizes plans to commence commercial flight operations on the Enugu-Guangzhou (China)-Enugu route.The Federal Government recently designated Air Peace to operate direct scheduled flights into Guangzhou, China. The airline also secured government’s approval to operate flights to Atlanta, Dubai, Johannesburg, and Mumbai. Speaking when she led a 20-member delegation to the corporate headquarters of Air Peace in Lagos at the weekend, President of the Overseas Investment Union of China (OIUC), Ms. Pansy Liu, said the airline’s partnership with the group of Chinese investors is vital in achieving seamless business trips between Nigeria and China. She said the Chinese investors had great confidence in the quality of Air Peace flight operations, pledging to also mobilise Chinese investors and aviation regulators in China to ensure the quick launch of Air Peace’s flights on the Enugu-Guangzhou-Enugu routes. In his response, Chairman of Air Peace, Chief Allen Onyema, urged the Chinese investors to take advantage of the huge business opportunities in Nigeria by deepening their investments in the country. He said the country had a boundless space for profitable businesses for genuine investors. Onyema said Air Peace, which recently launched its Lagos-Benin-Lagos and Abuja-Benin-Abuja routes, planned to deploy a Boeing 777 aircraft on the Enugu-Guangzhou-Enugu routes. He assured the Chinese investors, who were on a week-long business tour of Nigeria, that the airline chose a B777 aircraft to make trade trips from Nigeria seamless, safe and comfortable. Onyema said, the airline had retained the services of some of the best facilities in the world for the maintenance of its aircraft because of the premium it placed on the safety and satisfaction of its passengers. The airline, he added, had some of the most qualified and experienced pilots in its employ. “We take issues of safety seriously. It will interest you to know that we have BCT Aviation of UK here in Nigeria to maintain our aircraft 24 hours of the week because of the premium we place on safety. We have the best pilots in this country. Most of our pilots have flown for the big airlines of the world,” Onyema said. The African Export-Import Bank, (AFREXIM Bank) has pledged to continue to lend it’s support for the growth and prosperity of Arik Air Nigeria. AFREXIM Bank President, Dr Benedict Oramah, who paid a visit to Arik Air in Lagos recently said the visit was part of measures to strengthen relationship between the bank and the airline. Oramah who led other members of the Board of Director’s of the bank to Arik Air, said an airline like Arik deserved all the support it needs because of the crucial role it is currently playing as the leading airline connecting people across various Southern and West African Africa countries and making sure goods are delivered across the entire continent. “We want to make sure they (Arik) are strengthened to do that. We also understand the difficulties in the environment, not only in Nigeria but in most African countries,” said Oramah. “Our’s is a bank created to deal with or support our clients under such situations. This visitation is essential for us as a bank to see what the airline is doing and to listen to them about their future plans because we are promoting intra-African trade with Arik Air as a strategic partner,” Oramah added. He described Arik Air as a long standing client of the African Export Import Bank, saying both parties have worked together for several years, building a mutually rewarding partnership. In his response, Chairman, Arik Air, Sir Joseph Arumemi-Ikhide thanked the AFREXIM Bank delegation for its visit. He said the bank has been with the airline since inception, adding that Arik Air also has strategic partnership with a lot of institutions such as the American Exim Import Bank, EDC and CIV of China.